Dancing Step Gently to the tune "Lady Gethin"
I came across the music "Lady Gethin" by the 17th-18th century Irish harpist Turlough Carolan and expected to find that a dance had been composed to match this wonderful tune. I could not find one. It is not mentioned in the 2003 collection "The Blind Harper Dances - Modern English Country dances set to airs by Turlough O'Carolan" edited by Allison Thompson. I therefore composed this dance. Sample of the track "Lady Gethin"
Dance to "Lady Gethin" by Turlough Carolan. 4 bar intoduction (optional) + 3×32 bars (3×AABB) + 16 bars (either CC or AB). This should be played at a gentle pace, for example 86 beats per minute. 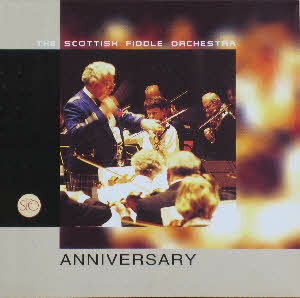 There is an excellent recording by the Scottish Fiddle Orchestra on their CD "21st Anniversary Concert". The track (8) can be sampled on Amazon (see right) or iTunes, and bought from either. This recording is 4 + 3×AABB + CC. The very final note of the recording is not needed for the dance and dancers rarely know how to use it up! The other unfortunate aspect of this track is that it is not being played on a harp. A score can be found at abcnotation. Intro 1‑4 Face partner, step to right and honour, step to left and honour (optional). 5‑8 lead further out, turn individually, lead in to place. A2 1‑8 Head couple lead up through the set, separate, cast back to below bottom place and lead in to place. As soon as head couple have gone through set, sides pass opposite person by right, face partner for half left hand turn; sides repeat movement to places. 5‑8 ¾ turn out of star as a couple with man backing up. 5‑8 ¾ turn out of star as a couple with lady backing up. Ladies have progressed one place clockwise, men one place anti-clockwise. 2A1 Into-line siding right shoulder to right shoulder with current partner; into-line siding left shoulders. A2,B1,B2 As above from current positions. 3A1 Arm right with current partner; arm left. A2,B1,B2 As above, to finish in original places. C1 (or A) Circle of six to left; back to right breaking circle at top as come back so end lady can lead out to a line of six facing up. C2 (or B) Line of six leads up, falls back; lead up again, step to right and honour the presence.